Single Grade Ashless Dispersant Engine Oils: AeroShell Oil W100 Plus and W 80 Plus are new single grade oils that combine proven AeroShell ashless dispersant technology with advanced anti-wear additives. They are the oils for pilots who want a single grade that delivers extra protection and performance. 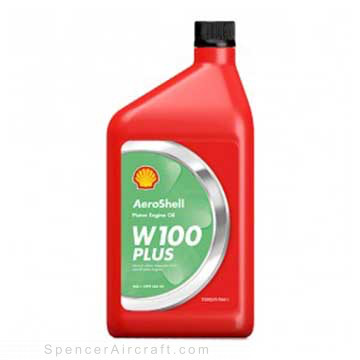 AeroShell Oil W 100 Plus and W 80 Plus brings together the best qualities of two of the world's best-selling four cycle aviation oils. They have the single grade, ashless dispersant performance found in AeroShell W 100 and W 80 and the anti-wear/anti-corrosion additives of AeroShell Oil W 15W50 Multigrade. Their single grade heritage means outstanding resistance to heat, especially in the summer months. Their ashless dispersant formulation helps reduce deposits of harmful metallic ash in combustion chambers. And their advanced additives work against rust, corrosion and wear in a way no other single grade does. There are simply no better single grade aviation oils.